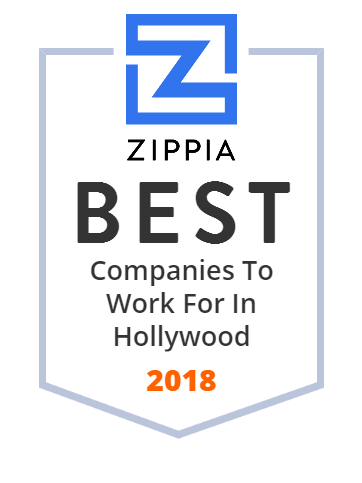 We hand-curated a list of the best companies to work for headquartered in and around Hollywood, FL using data on salaries, company financial health, and employee diversity. Duty Free Americas is a travel retailer that offers a wide array of duty/tax free fragrances, cosmetics, wines, spirits, tobacco, edibles, luxury leather goods, watches, jewelry and travel-exclusive merchandise. It has over 180 locations and offers high-end quality products in a luxury retail environment to meet vacationers' and business travelers' needs. DFA has multiple distribution entities including IBW Panama and IBW Mexico. Duty Free Americas was established in 1972 and is headquartered in Hollywood, Florida. HEICO Corporation is a growing technology-driven aerospace, industrial, defense and electronics company based in Hollywood, FL. The company operates in two segments: its Flight Support group distributes and manufactures FAA-approved parts, and the Electronic Technologies group produces electrical and electro-optical systems and components. Its customer base is made up of most of the world's airlines. The company's parts and components are found in aircraft, spacecraft, defense equipment, medical equipment, and telecommunications systems. Since 1974, Jaffe & Asher has represented clients ranging from individuals and small businesses to Fortune 500 companies, in a full range of civil legal matters. This full-service civil law firm's practice spans a broad range that includes commercial litigation, creditors' rights, bankruptcy, real estate and real estate finance, general business and corporate transactions, family law, insurance, and civil appeals. For over 25 years, Holiday Foods has offered handcrafted, top-of-the-line quality hors d'oeuvres, gourmet cold canapes, and center of the plate specialties for the food service industry. They began selling fresh hors d'oeuvres to local South Florida hotels, and as the demand for their products increased, Holiday Foods began offering a selection of frozen hors d'oeuvres that allowed them to increase their range of distribution and provide timely solutions for their customers. Since in establishment in 2006, Assure has been providing services around Application Lifecycle Management. Assure helps its clients visualize data in DevOps and make the right decisions in software development, testing and operations. The company serves customers across many industries such as telecommunications, healthcare, financial, etc. Solutions by Assure help enterprises improve the quality of their software releases, increase performance and productivity and reduce operational costs. The company is headquarted in Hollywood, FL. GoZone WiFi is a software company that offers marketing, analytics, and advertising platforms that analyze guest data over WiFi networks. Its could-based platforms - Marketing4WiFi, Ads4WiFi, and Analytics4WiFi - have the power to gather customer data and then deliver targeted messages, display advertisements, analyze guest behavior data in order to engage with customers and generate additional revenue. Whether its a small business or a mega-venue, many clients from various industries have trusted GoZone WiFi to unlock their marketing potential. Founded in 2014, the company is headquarted in St. Petersburg, FL. GCIron sells new and used construction equipment and OEM parts from manfacturers such as JLG, Gradall, Skytrak, Lull, Multiquip, Genie, Kubota Engine, Sullair, Partner, IHI, and Edco. Its products include: scissor lifts, boom lifts, telescopic forklifts, mini excavators, utility loaders, cut saws, walk behind saws, generators, pumps, welders, etc. Its highly trained service technicians are ready to help customers maintain and repair their equipment. GCIron is located in Hollywood, FL. Founded in 1925, City of Hollywood is a beachfront community located midway between Miami and Fort Lauderdale and is home to approximately 143,000 residents. It has more than 60 parks, seven golf courses, seven miles of pristine beaches, one-of-a-kind Hollywood Beach Broadwalk, luxury hotels and condominiums. Downtown Hollywood hosts hundreds of concerts, music festivals, dance exhibitions, shows, art exhibits, and much more. The city has a Commission-Manager form of government. Its Commission is made up of the Mayor and six representatives that are responsible for the image of the City of Hollywood. Pure Life Renal is a dialysis company looking to partner through new clinic development or acquisition with nephrologists that want to be relevant and influential in their partnership. Loren Castings has a rich history of jewelry casting and manufacturing -- a family tradition of providing service to the jewelry trade with an emphasis on high-quality craftsmanship has been passed down from generation to generation. They have a combined 70 years of traditional jewelry casting skills with the industry's newest production equipment to support a growing community of next-generation jewelry artists, designers, and bespoke manufacturers. Some of the services they provide are jewelry casting, finished jewelry, die-stricking and more. Chase Music & Entertainment, based in Hollywood, FL, provides live music to weddings, parties, and social galas in the the areas of Miami, Ft. Lauderdale, Boca Raton, Palm Beach, and Miami Beach, FL. It offers a variety of upbeat, elegant, fun, hip, sophisticated, high-energy bands that create a perfect music environment for any event. The company has over 100 musicians and specializes only in music delivery. Chase Music & Entertainment has been providing quality music in South Florida since 1975. Souveniles de Puerto Rico is a gift shop in Hollywood, FL, that provides a variety of souvenirs, jewelry, clothes, car accesories, home decorations, pharmacy products, food and candy, and games. Its catalog of products can be found on its website and customers can place orders online. The company is completely dedicated to client satisfaction and aims to provide excellent customer service. Digital Pursuit is leading web development company in Miami and Fort Lauderdale, Florida that offers responsive web development and design services. This boutique specialist IT recruitment agency with over 20 years combined experience in recruitment works on a national and international scale. They strive to become experts in the technology markets. By meeting candidates and clients alike, they can gauge the right people for the right jobs, saving the client time and money as well as finding the perfect candidate for the role. Engage is a certified Professional Employer Organization that offers clients comprehensive HR solutions that encompass: health and workers' compensation insurance offerings; payroll technology and administration; tax administration; worker's compensation and risk management services; benefits and benefits administration. The company was founded in 2011 and today it operates in all 50 states. Its corporate headquarters are in Hollywood, FL, with additional offices in St. Petersburg, FL, and Addison, TX. DaviePAcademy is the leader in South Florida child care. They offer a wide variety of preschool academics, after-school programs and other award-winning early childhood development programs. They provide excellent early childhood classes that fully prepare children for elementary school at a competitive tuition rate to their customers. DaviePAcademy works in partnership with parents and families to build mutual understanding and always welcome parent participation.